Bangladeshi Meal Makes a Splash! 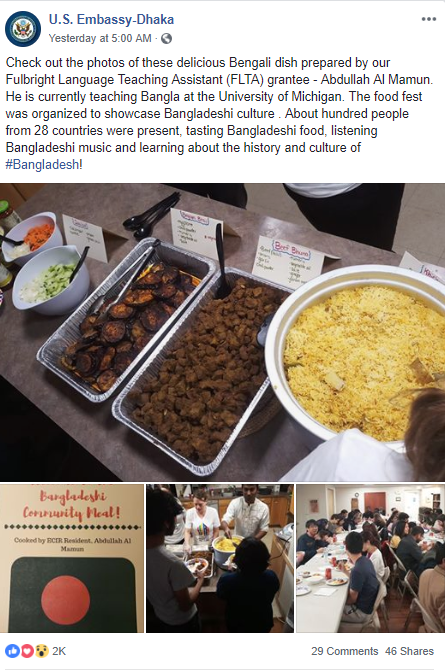 International House Ann Arbor (IHAA) recently hosted a Bangladeshi Community Meal. News of the event appeared on the US Embassy-Dhaka Facebook page. It is rumored that Mamun, the IHAA resident who prepared the food, will teach residents and interested community members how to play Cricket this Spring. Stay tuned by subscribing to IHAA for upcoming events and programs. 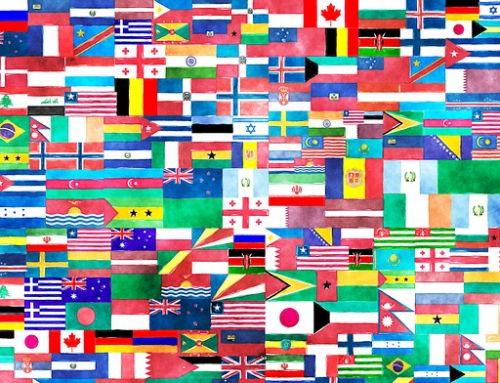 I-House Ann Arbor makes it possible for visiting international students/scholars and local community members to come together and learn about each other, widen their worldviews, and build a global culture of appreciation and understanding for each other’s histories and genuine caring for our common future. At IHAA, one meal can make a splash and ripple around the world.